Dear Monty, LLC, 9780998473581, 156pp. There are twelve steps in every real estate transaction. During each of these twelve steps, you will be called upon to make a decision. In some steps, you may have multiple choices. Many times these decisions are presented to you as they occur in real time, explained on-the-spot, and you will be expected to react. It is a learn-as-you-go process. House Money first reveals the six components inextricably woven into the twelve steps. They are the DNA of the real estate transaction. When you understand the significance of each element and how it impacts your decisions, you will be empowered to anticipate your future choices rather than react to them. This new knowledge will result in superior outcomes in your transaction. You will enjoy less frustration and stress, gain a sense of control, and experience improved financial results. It is a learn-before-you-go approach. Here are some examples. In Chapter 1 - Know The Playing Field, many buyers will be surprised to learn that they do not have an agent representing them until they sign a buyer agency agreement. They will also learn to decide if buyer representation is necessary for them. Many home sellers do not realize three different agents will predict three different home values. They will now be able to determine which one is right. In Chapter 3 - Understanding the Marketplace, buyers and sellers will learn how to manage their agent by seeking specific data and learning when they need that data to make better decisions. Few customers today know to request it. 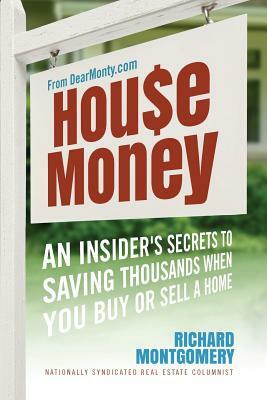 Every chapter adds powerful insights and increases your real estate knowledge. Ironically, buyers and sellers sometimes make real estate errors and are not even aware of it. Whether, or not a mistake comes to light, in real estate mistakes are often very costly. You know this because you hear the stories at work, out with friends, or even on the DearMonty.com website. Click on the "buy" button to make your real estate purchase or sale be all it can be.